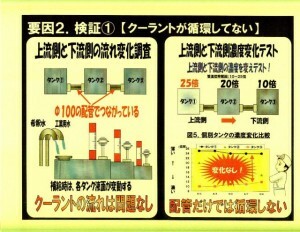 A test showed that coolant flowed between the tanks. However when the concentration was set to 25 / 20 / 10 in selected tanks representing upper, middle, and down stream tanks. When tested the measures concentration did not change over time. In other words just relying upon circulation via the current existing pipes for coolant flow was not enough to balance the system.